It’s been another busy month for the Power BI team. 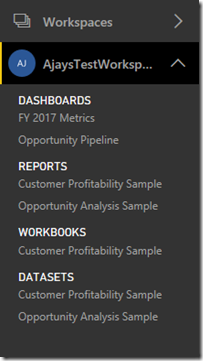 Each week, we’ve released updates to the Power BI service, rolling out new features and improving existing ones. Worried you missed something? Fear not! Below, we’ll recap all the features we’ve released in the last month. 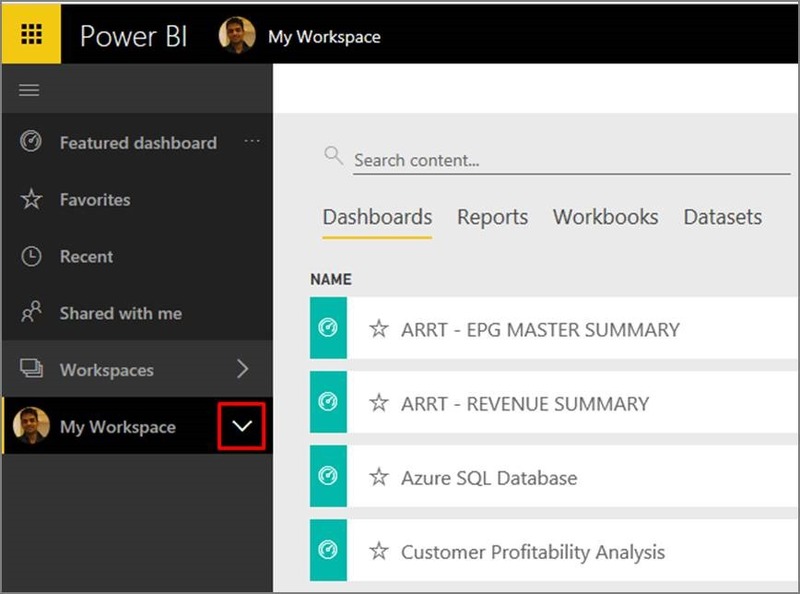 Last December, we announced the Power BI Navigation Preview. Our goal was to make it easy for all users to access their most important content and make authors more productive. To recap, the new navigation introduced Shared with me as the new location for all dashboards that are shared with you . We also introduced Recent, to allow quick access to the dashboards and reports you’ve most recently accessed, across all of your workspaces. Since then, we have been actively listening to your feedback and continuously making improvements to the new navigation. One of your top requests was an easy way to switch between different dashboards and reports and datasets in your workspaces. With this release, we have added a quick access area to the left navigation pane that gives you single click access all dashboards, reports, workbooks and datasets in the current workspace. Note: before we start, you can learn how to opt-in to the new preview. To open the quick access area, click on the small chevron next to the workspace name. 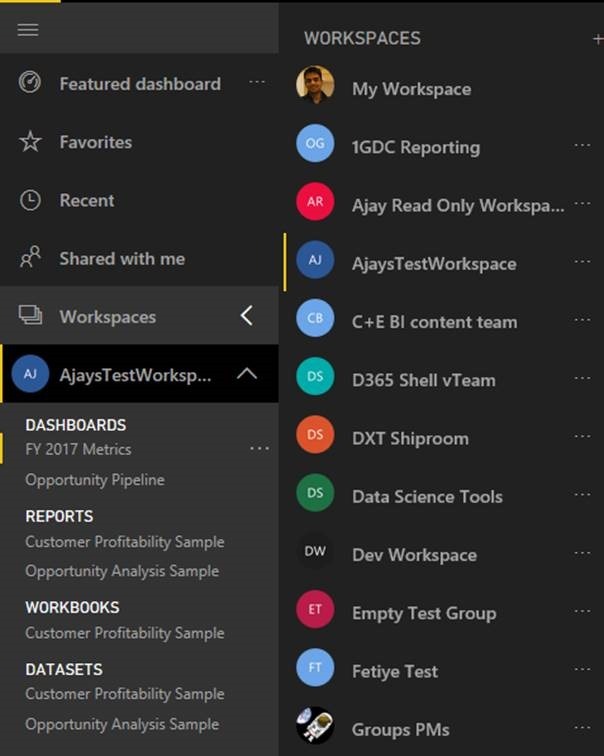 You will see all the dashboards, reports, workbooks and datasets in the current workspace and can quickly switch between them. Note: you will only be able to see the content in the current workspace. Any content that has been shared with you will still be available in Shared with me. 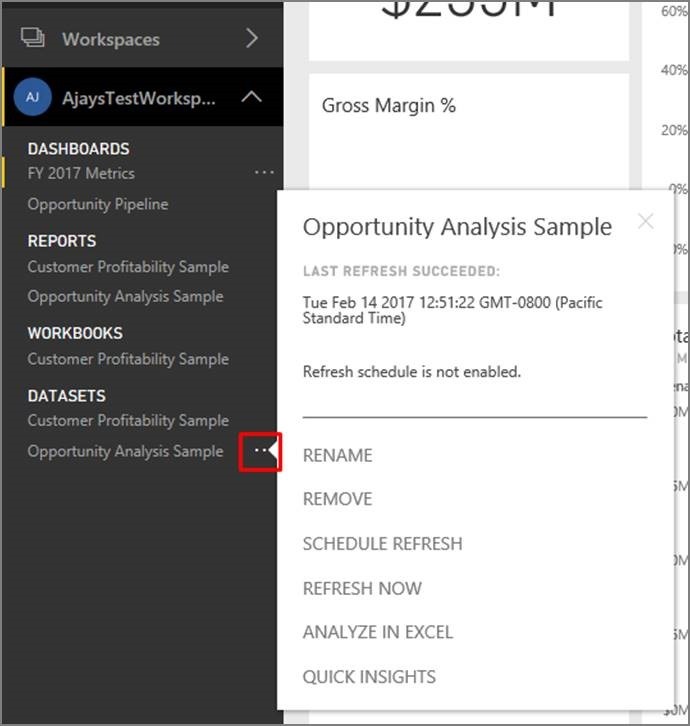 The quick access area also allows you to perform manual refresh or setup scheduled refresh on your dataset. To do this, click on the ‘…’ next to the name of the dataset. You will get a flyout will options like Schedule Refresh, Refresh Now etc..
Also, we made it easier for you to switch your current workspace. Click the Workspaces entry and you should see a flyout with all the workspaces you have access to. Try out these features and let us know what you think! Your feedback is invaluable in helping us further improve the new navigation as we prepare for general availability. Learn how to opt-in here. 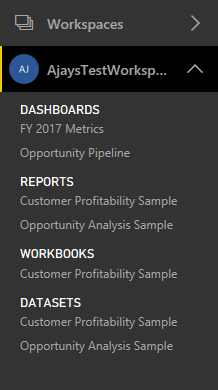 We’re happy to announce that you can now embed Powerbi.com dashboards into your custom applications. 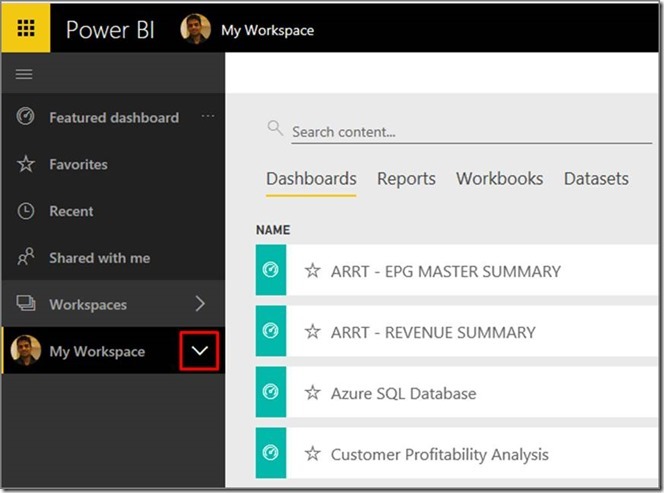 You’ve long been able to embed Powerbi.com reports and tiles into your custom apps – this functionality is simply the exciting next step. Dashboard embedding means that you can bring many powerful dashboard features into your applications. Embed custom web content. Integrate with online images or video. See real-time data come to life with streaming tiles. To get started, read the documentation for an end-to-end walkthrough. See our detailed blog post for more information. 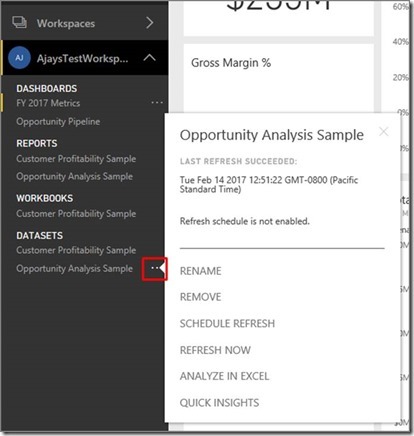 In early February, we announced the availability of Power BI report embedding within SharePoint Online. 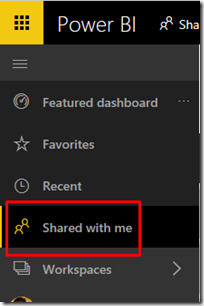 This exciting new feature allows SharePoint authors to embed their Power BI reports directly SharePoint Online, without writing a single line of code. 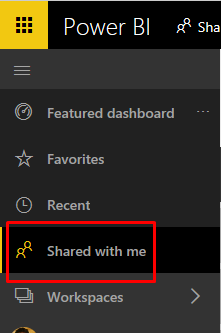 From there, visitors to the SharePoint site will see the Power BI report in all its glory, and better yet, row level security settings applied in Power BI will work seamlessly in SharePoint Online, through the magic of single sign-on. Building secure portals for sharing critical business insights has never been this easy. See below for a video walkthrough, or head over to the detailed blog post for more information. Have questions, or feedback? We’d love to hear from you. Be sure to cast your votes on UserVoice to help us prioritize features. Questions are always welcome in the comments below, or on the community forums.